Today NCCAM (national center for complementary and alternative medicine) posted the research result of EA on rats for stress, which was recently published in the journal Experimental Biology and Medicine on January 1, 2012. In a laboratory study, researchers found that electroacupuncture was able to affect a key stress response in rats—by blocking a sympathetic pathway that is stimulated during chronic stress. Electroacupuncture (acupuncture combined with electrical stimulation) has been proposed as a complementary therapy in the treatment of chronic stress in people; however, the existing data on its effectiveness and how it works are unclear. Researchers from Georgetown University Medical Center in Washington, D.C., assigned the study rats to a stress-only group; an electroacupuncture group (needles inserted in a specific point on the body designated in traditional Chinese medicine (TCM) as an acupoint for stress); a sham electroacupuncture group (needles inserted into a randomly designated non-TCM acupoint); or a control group. The researchers assessed the effectiveness of electroacupuncture before the initiation of stress as well as following the exposure to stress. The rats were exposed to a cold stress (placed in a 1 cm layer of crushed ice) for 1 hour a day over a period of 10 to 14 days. 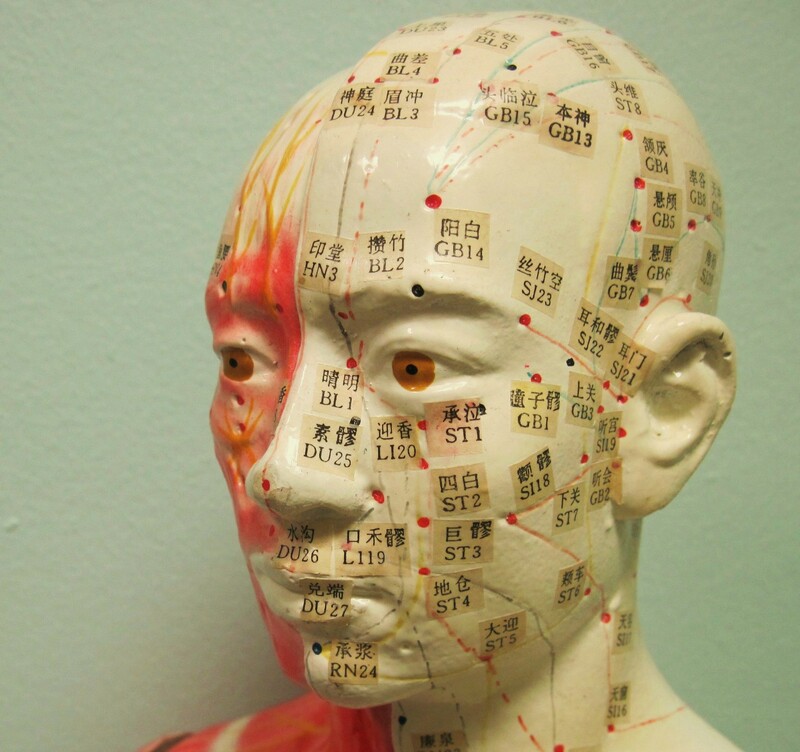 This is such exciting news for all the acupuncturists who have ever treated and treating stress, anxiety or depression, because we now know how it can affect sympathetic nervous system by measuring neuropeptide Y in the blood stream and give more evidence-based acupuncture to the patients with confidence. However from my clinical experience in treating stress related conditions like anxiety and depression or even pain with unknown reason, having been using both acupuncture and electro-acupuncture, I saw almost same effectiveness or sometimes the set of different locations of needle insertion have an influence in treatment success. Therefore in the future, I wish they could study how the different points (a set of acupuncture points which is traditionally believed to help stress, anxiety or mental disorder) affect sympathetic nervous system and change the level of neuropeptide Y.